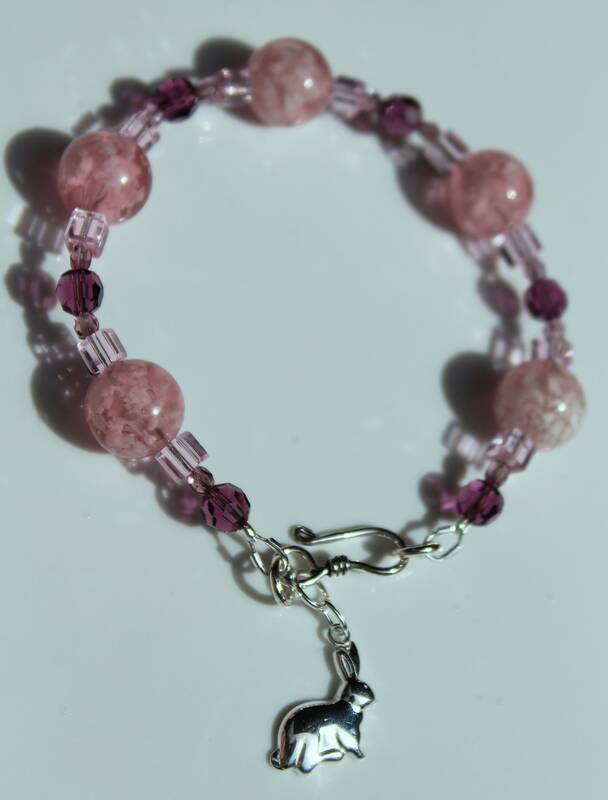 Pink and purple crystal, glass, and resin beads are used to make this beaded bracelet. 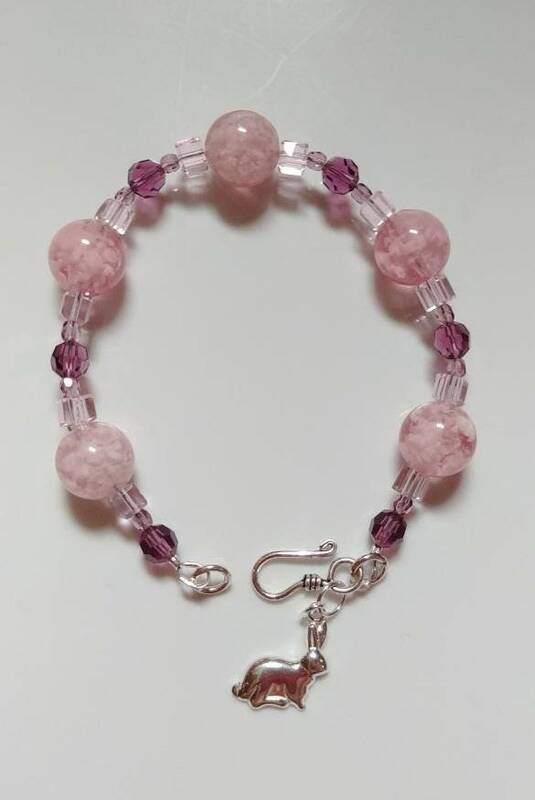 The pink tones are soft and elegant and the purple round crystals are faceted dark amethyst...such a beautiful subtle combo. 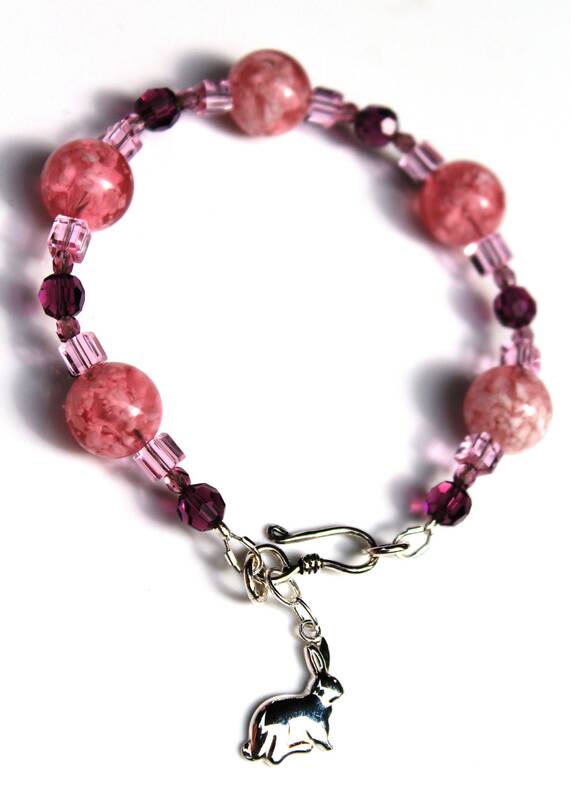 Please note: This bracelet was made using an "S-Hook" clasp. This bracelet is approximately 7.5 inches long. Please contact me if you would like it slightly bigger or smaller. The large round pink beads are 12mm. This bracelet is an original design, created and handmade by Michele of MichelesAManoDesigns.